The Schluter Kerdi Shower System is meant to be used in conjunction with the Schluter Kerdi. The Schluter Kerdi shower system is a bonded water-proof membrane that is made of soft polyethylene which is covered on both sides with a special fleece that is meant to anchor in the membrane into the thin-set mortar. The Schluter Kerdi was developed as a waterproofing membrane to be used in conjunction with ceramic and stone tile installations. 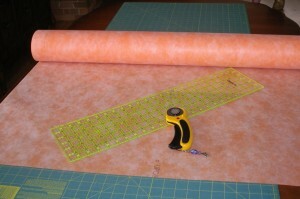 One of the benefits of the Schluter Kerdi is that it is perfectly compatible with the Schluter Kerdi Shower system. Take a Quick Look of Schluter‘s all Schluter KERDI LINE, Schluter KERDI DRAIN, Schluter KERDI, Schluter SHOWER KITS Shower Systems. 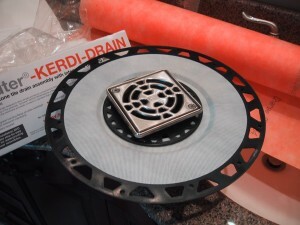 Schluter-KERDI-DRAIN is a floor drain specifically designed to allow connections to Schluter KERDI or other load-bearing, bonded waterproof membranes, typically in shower applications. 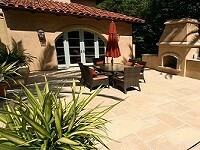 Waterproof membranes are currently the newest technology being used in tile installation and are increasingly used for porcelain tile, ceramic tile and natural stone coverings. 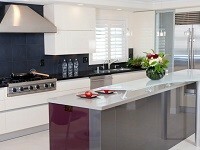 Schluter KERDI is a special bonded waterproof membrane with limited crack-bridging capabilities. It is made of a revolutionary soft-polyethylene that is covered on both sides with a special fleece that is meant to anchor the membrane into the thin set mortar that you use. The Schluter-KERDI-SHOWER-KIT is an all inclusive package that contains each of the necessary components that are required to create a maintenance-free, watertight shower assembly without a mortar bed. 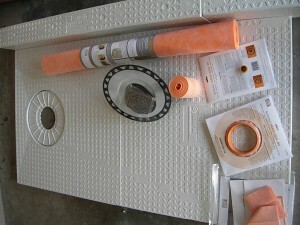 Schluter KERDI SHOWER Kit are prefabricated substrates, made of expanded polystyrene foam, for tiled shower bases in conjunction with Schluter-KERDI waterproofing membrane and Schluter-KERDI-DRAIN.The Schluter KERDI SHOWER ST is a prefabricated, sloped shower tray that is made to specifically accept the Schluter-KERDI DRAIN and the Schluter-KERDI waterproofing membrane. The trays are available in various sizes; 48″x48″, 32″x60″ and 72″x72″.